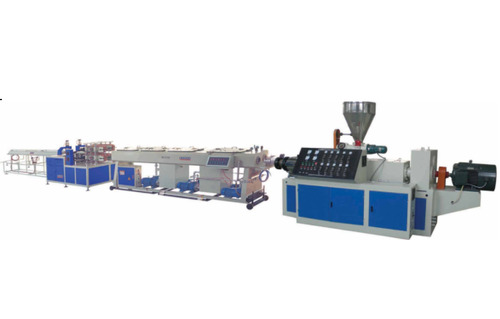 PVC Conduit Pipe Extruder (Four Pipes) offered allows simultaneous production of four pipes that can be of different weight and diameters using single mold support. 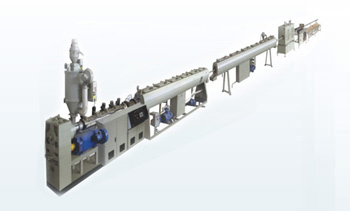 Backed by latest technology support, the PVC pipes made by these pipe extruder plants find application as electrical piping systems, underground duct and in other uses. Some of the standard features of these plants include providing high production support even for smaller pipe sizes, special conical twin screw extruder to support high filler loading, CNC “WWW” Germany machined counter rotating conical twin screw for better performance, bi-metallic screw & barrel support that provides for enhanced service life, reasonable flow channel design with special treatment support on the surface, four pipe vacuum tank allowing production of three pipes even in event of fourth pipe production being stopped and others. Bi-metallic screw & barrel can be provided for two-three times more lifespan than nitrided screw & barrel. Die head for smaller sizes of pipe ranges from 16mm  32mm with stainless steel spider. 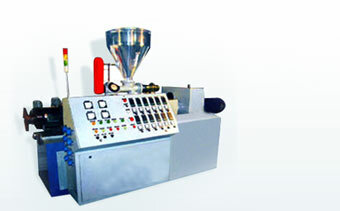 It ensures the production of four pipe out of one mould,thus making the cost of production low. 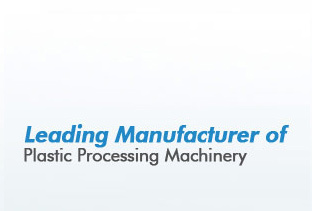 It has reasonable flow channel design and special treatment on the surface. Special flow channel design ensures the equal distribution of PVC in both moulds. Melt temperature and pressure remain even. Four pipe vacuum tank ensures the production of three pipes even if the production of the fourth pipe is stopped due to any reason.Thus making the wastage low.It is made of stainless steel. All vacuum portions are independent from each other. Its construction ensures the cutting of four pipes at different length and at different time. Length of the pipe can be set with limit switch of tipping chute. Special high speed blade for smooth cut. Its construction ensures the traction of pipes at four different speeds thus enabling the production of pipes of different weight. Gap between two tracks is adjusted through pneumatic cylinders. Drive to all 4 belts is given through 4 independent geared motors. Rubber pads are mounted on the chain for easy maintenance. Chain drive and groove rubber pad ensure that the pipe would not slip even at higher line speed.